Queen duvet cover (88" x 88") featuring the image "Red Candle Lighting Up The Dark Blue Night." by Lee Serenethos. Our soft microfiber duvet covers are hand sewn and include a hidden zipper for easy washing and assembly. Your selected image is printed on the top surface with a soft white surface underneath. All duvet covers are machine washable with cold water and a mild detergent. 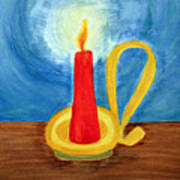 There are no comments for Red Candle Lighting Up The Dark Blue Night.. Click here to post the first comment. 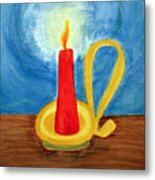 In a yellow, gold and brass colored candle holder with an old fashioned looking handle, a red candle burns brightly. 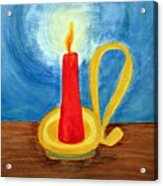 It lights up the dark blue night with its flickering, orange yellow flame letting off a yellow, white brightness. 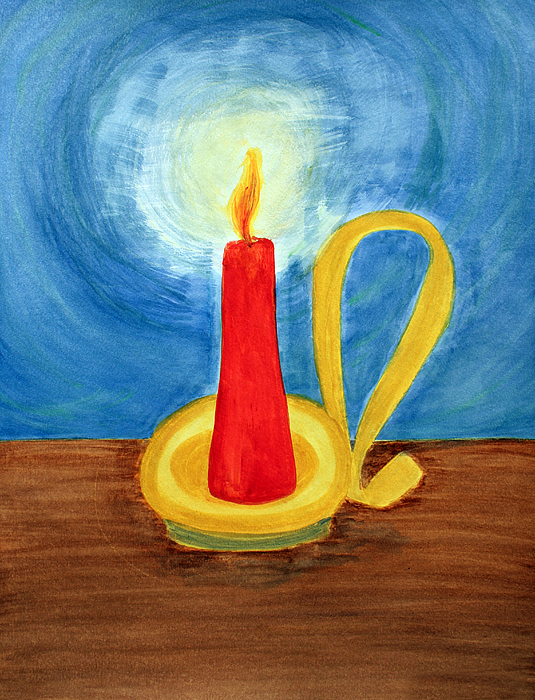 The candle sits on a brown wood table top.